Over the past year or so I have been trying my hand at Motorsport Marshalling and I for one have found it very enjoyable and rewarding. However it is a part of Motorsport that is suffering from a seeming lack of interest which could have disastrous effects to everyone who par takes in the sport, from Drivers to spectators alike. Gone are the days of mass crowds on Rally Stages such as there was in the heyday of Rallying mainly due to the large numbers of fatalities during the Group B Rally era of ’82 to ’86. This was a time when many enthusiasts and drivers claim Rally died. Since then crowd control has become a headache for organisers and competitors alike. It is also something that has killed off the large numbers of people once seen at rallies which in turn has led to many manufacturers leaving the sport because they aren’t getting the coverage, the interest if you will, from potential new car buyers. 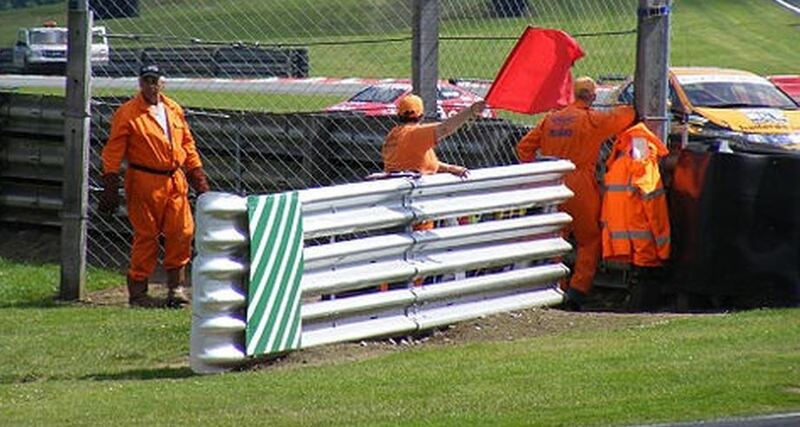 There’s no doubt that there is a need for marshals at all Motorsport events to ensure that competitors and spectators alike are kept safe and can enjoy what is still a very thrilling sport to watch. Marshals are ordinary people, many of whom are volunteers who have a love of the sport. And it’s hard not to see the attraction as you can get close to the action while playing a pivotal role. Some of the bigger events sometimes offer rewards such as a feed or two and perhaps the odd free gift. 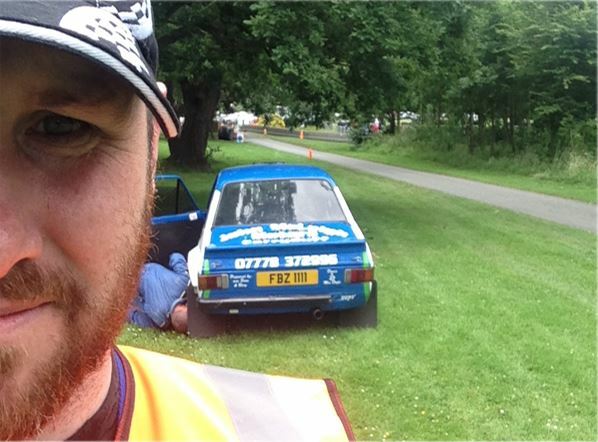 Marshals are also sometimes used in the setting up of stages such as I was at the recent Garron Point Hillclimb event, something I found quite interesting and an insight as to exactly what is involved before the competitor even gets to the Tarmac. This has also given me an insight into the rising costs for spectators at some events such as Lurgan Park. The endless reels of safety tape, the high viz vests and other such items that are necessary to make the marshals visible and help them to do their tasks don’t come cheaply. The sad thing is that a common problem at the majority of events is the lack of volunteers for these events. At a couple of recent “big” rally events many volunteers found themselves stretched to try and cover as much ground as possible, something that if not addressed could lead to more injuries or fatalities or worse, the end of many motoring events held here in Northern Ireland. For more info, simply search online for your nearest Motor Club and sign up if it’s something your keen to help with. Great article. Marshalling is something I've always wanted to do but just never got round to doing more than my share at the 4wd events. Really need to look more into it! In all honesty mate there's not much to look into. There are ways of doing Marshalling without joining a club. I should have mentioned that too but I didn't want my first article to be too long winded lol. If your on Facebook there are various pages that you can "like" or "join" we're they are pretty much always looking for marshals for different Motorsport events. Marshal Info NI: Aanmelden bij Facebook | Facebook Lough Neagh Marshals (can't get the link via my iPhone for this page sorry) Or of course the aforementioned Motor Clubs usually have a Facebook page as well. I joined Mid Antrim Motor Club recently and it was £10 for the annual fee which hardly breaks the bank. I will be a member of a MSA club (4 wheel drive club) and will pay my £20 annual membership fee in order to be able to drive. Will that be enough to cover me for marshalling at other events run by other organisations? I'm not entirely sure @Coog. I'm still a bit wet behind the ears and I've only just sent away my application form to MSA for Marshalling. From the initial application there seems to be no fee for the Marshalling side of things, however I will try to keep the thread updated with any new information I find out. 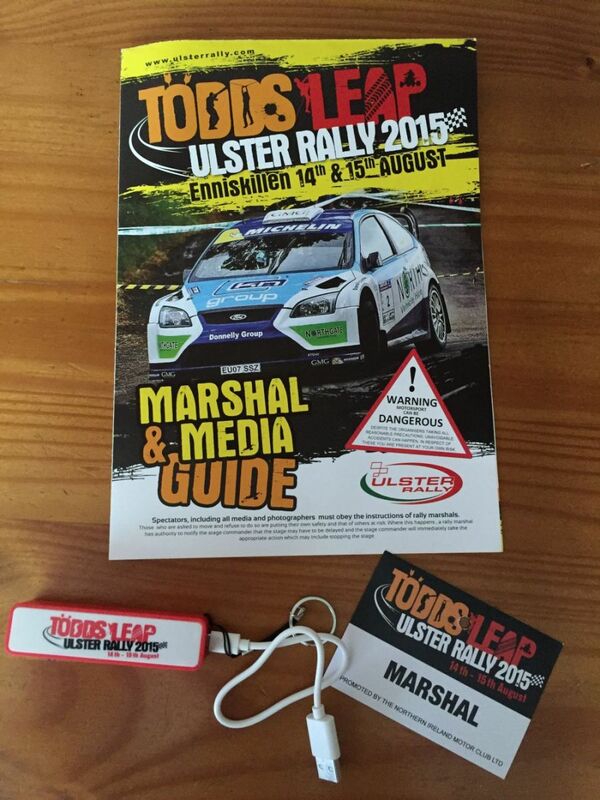 Your current membership number may be carried across to Marshal membership though. What I do know is that the MSA ,who were not "really" involved with the Marshalling side of things in Northern Ireland, are looking to change that due mainly to the fatalities last year at the Jim Clarke Rally, the Newry & Mourne Rally and last years Ulster Rally. They were hoping to be in the main throws of things by 2016, but due to the enormity of the task they face it's now pushed back to 2017. What does this mean for us? Well from what I've gathered it means that being registered is possibly going to be part of the regulations. I am currently registered with the MMP (Motorsport Marshalling Partnership), which is the local and somewhat less strict version of the MSA. They run free training days, currently twice a year and if you volunteer at events you earn points, more points earned the bigger the reward. Rewards start from First Aid kits, to backpacks to a free trip to next years Knockhill BTCC event where you can be part of the marshalling team, for me that sounds very exciting! You don't need to pay anything to marshal, nor be a member of any club. The MMP mentioned above is a great way of getting training and they are very good at arranging marshal rewards as an incentive. The MSA's role is to license and manage motorsport. Safety at rallies and the vital role marshals play in ensuring it is under a lot of scrutiny at the moment and there is a drive to get good people involved in this side of the sport. There is hardly a rally in the country doesn't need more marshals so the offer of help is never refused. | You don't need to pay anything to marshal, nor be a member of any club. The MMP mentioned above is a great way of getting training and they are very good at arranging marshal rewards as an incentive. The MSA's role is to license and manage motorsport. Safety at rallies and the vital role marshals play in ensuring it is under a lot of scrutiny at the moment and there is a drive to get good people involved in this side of the sport. There is hardly a rally in the country doesn't need more marshals so the offer of help is never refused. Very true about not needing to pay anything to be a marshal. That said it would be good for the clubs to know rough numbers that they could have. Not to mention the support you would be giving to your local club and potentially they could either run better or more events. Agree with you @Blackie that if you were keen, joining a club for £10 would be a great way to meet people and get involved. For any students out there, Queens has a motor club which in past years has lent support to many clubs running stage rallies (including running Torr Head Stage for the ulster for a number of years) and also run their own successful events. I started out doing comms on events (safety radio network) with @RComms and have since marshalled, organised navigation rallies, competed on navigation and targa rallies and have in recent years started to work on the Circuit of Ireland stages.